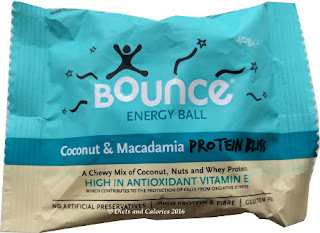 Take a stroll around any health food store and you’re bound to have noticed the presence of Bounce energy balls. Until very recently, Bounce were unique, deviating from the usual rectangular shaped snack bar by going spherical. 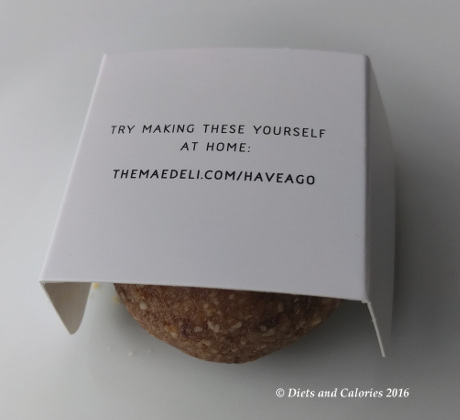 But now Bounce has competition – a rival from blogger, Deliciously Ella. Those who follow Deliciously Ella online are already familiar with the concept of energy balls. Indeed, she has produced many recipes and videos showing just how easy it is to make your own at home. 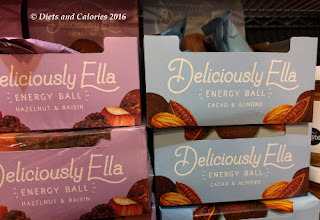 But for those who don’t have the time or inclination to get their hands messy, Ella is now selling a range of three energy balls in specified shops. I have never felt the need to buy an energy ball, certainly not since I examined the wrapper of a Bounce energy ball one day and discovered they contain over 170 calories. However, I was keen to try out Ella’s energy balls to see how home-made they seemed and also to compare them with Bounce. 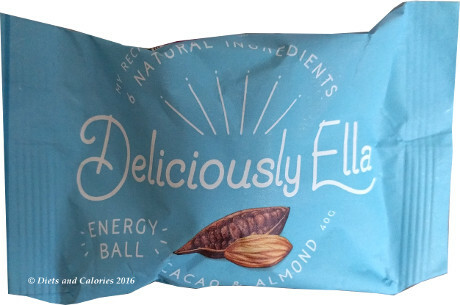 I purchased one Bounce Energy Ball in the Coconut & Macadamia flavour and one Deliciously Ella energy ball in the Cashew & Ginger flavour. “A ball of mixed dried fruit, nuts, oats and spice. Made with love in the UK. This is the #1 recipe from my blog and our London deli. I’m so excited to share it with you. Ella x” Best before 25/02/17. I was interested to notice the best before date on the DE ball was not until February 2017. However, she does advise they will last for up to 3 weeks in the fridge. I wonder how they keep so fresh in the packaging but not the fridge? I did a comparison test of the two types of balls, dividing each up between myself and two daughters. Obviously, since they’re not the same flavour I couldn’t compare this aspect, but wanted to see what the consistency was like and overall flavour. 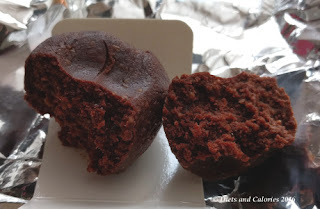 While both energy balls have a high sugar content, the Bounce balls are different in that they have a high amount of protein in them which helps with keeping you satiated for longer. Both are gluten free and suitable for vegetarians. However, the Bounce balls contain dairy so are not suitable for vegans. 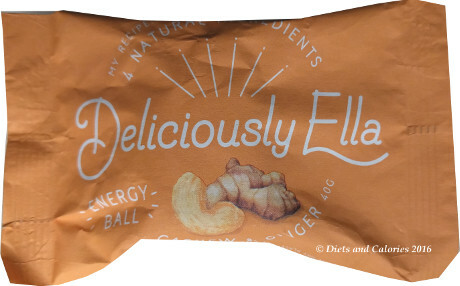 This list of ingredients on the Ella balls are very precise. She states exactly how much of each ingredient is found in each ball which is helpful if you want to have a go at making them yourself. The ingredients are all natural and no salt is added. The Bounce energy balls have a much longer list of ingredients as shown below. Opening up the Bounce ball reveals a not quite spherical shape. I’m not sure whether it’s supposed to be this shape or if it was squashed in transit somewhere along the way! Cutting it into pieces was difficult because it’s so dense and dry. It smelled gorgeous though with lots of coconut around the outside. We all liked the flavour of this one but not the consistency. We all found it too hard and chewy. It’s comparable with a very sticky piece of toffee but with some crunchy pieces. Hold on to your false teeth if you choose these! The Deliciously Ella energy ball was beautifully presented sitting in a little cardboard sleeve with the message as shown in the photo below. It was perfectly spherical and the consistency is just as I’d imagined. Soft and squashy, and very shiny! You really need to like ginger though, as the spice was overwhelmingly strong. I do like ginger but would have liked a little more of the nut flavour as well. I’ve since tried the Deliciously Ella 'Cacao & Almond' version. This had more of a brownie texture, quite dense and chewy. 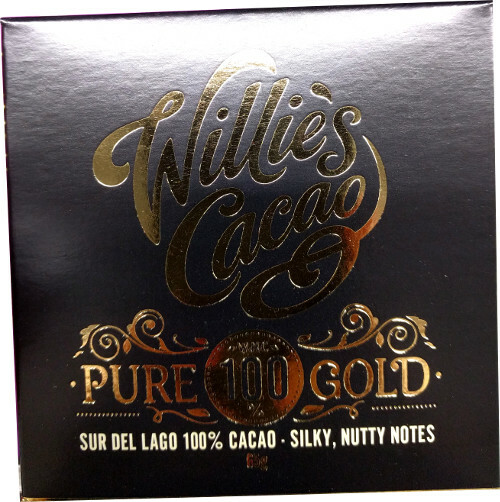 I could only really taste the cacao, and not the almond which was a shame as I’d hoped this would provide a bit of a crunch. It was nice enough, but not really to my taste. Personally I probably won’t but any more energy balls because I don’t have the need for such a big hit of calories in such a small package. I also can’t justify the price of either of them. The Bounce Balls sell for around £2 each and the DE balls for £1.79. 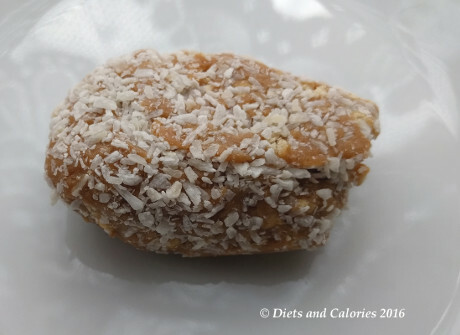 I do make my own fruit and nut snack balls, but roll them much smaller so fewer calories! Cacao & Almond - 173 calories. 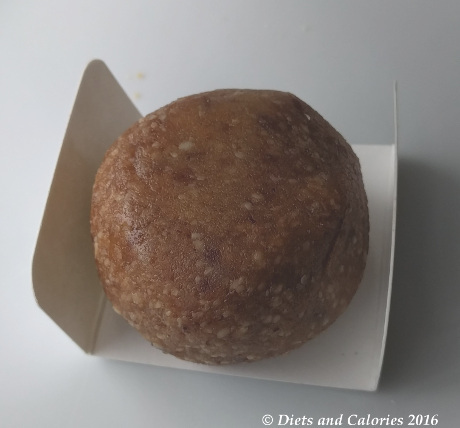 Spirulina Ginseng Protein Ball – 191 calories (42g ball). 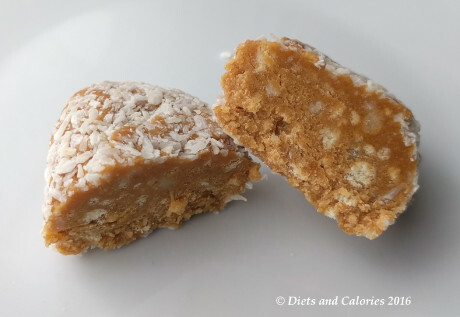 This type of energy snack is ideally suited to those who are out and about being active. E.g. long walks, hiking, cycling etc and aren’t likely to be eating for a while. They’re energy dense so will provide a much needed boost. Desk bound workers could end up chomping through more than one and, with the high sugar and calorie content, they'll easily pile on weight unless you get lots of exercise. But they are infinitely better than a regular chocolate bar which has little to no nutritional value (unless you’re eating 85% or higher cacao content). Ingredients Bounce Energy Ball (Coconut & Macadamia): Blue agave syrup, Inulin (dietary fibre), cashews (12%), whey protein isolate (from milk) 11%, coconut (5%), whey protein concentrate (from milk) 7%, rice bran, brown rice flour, macadamias (6%), stabiliser (guar gum), tapioca starch, flavourings, whey protein hydrosylate (from milk), (1.5%), safflower oil, vanilla extract, sea salt, antioxidant (natural mixed tocopherals), sesame seeds, stabilizer (calcium carbonate), emulsifier (sunflower lecithin). 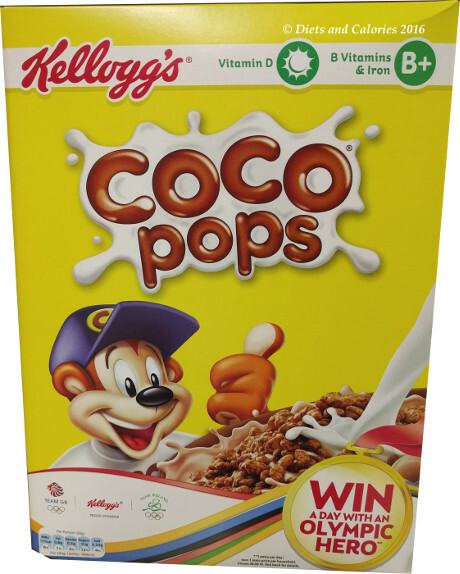 Nutrition Information per 40g ball: 178 calories, 7g fat, 2.6g saturated fat, 18g carbs, 10g sugars, 4g fibre, 9g protein, 0.27g salt. Vitamin E 12mg. Gluten free, high protein, no artificial preservatives. Ingredients Deliciously Ella Energy Ball (Cashew & Ginger): 3 dates, 8 cashews (34%), 1 tsp oats, 1/4 tsp ground ginger (2%). 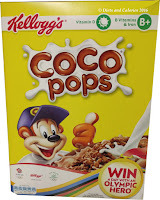 Nutrition Information per 40g ball: 152 calories, 6.8g fat, 1.4g saturated fat, 20.2g carbs, 16.1g sugars, 1.5g fibre, 3.5g protein, 0.0g salt. Gluten free, dairy free, vegan, no artificial preservatives. Available in Holland & Barratt, Ocado, Waitrose, Planet Organic, Wholefood Stores, The Mae Deli, Starbucks.